The geographical location and small size of the country forces Israeli startups to target global audiences right from the beginning. In Finland it’s more natural to grow the business in the Nordics and Europe first, but Israeli companies aim to U.S. markets right away. The Israeli defence forces plays an important role in technological innovations. Men have a mandatory military service of 3 years and women 2 years. During the army, the future young professionals are exposed to many cutting-edge technologies they are able to commercialise after the military service, in many cases with the same team members they shared a tent with. Failure is seen in a more positive light than in Finland, because chances are you learned from your mistakes. We came across it in all of the discussions with the local people. From the perspective of investors failing before is rather important in order to avoid the same mistakes in the future. We started the day with a refreshing 2km walk to a local startup company Yotpo. Yotpo sends requests to review the purchased product via email to customers of e-Commerce stores. On average, 1% of customers write a review about the product they purchased, but Yotpo is able the increase this number to 10%. And these reviews play a crucial part in selling the products online. We learned for example, that sending an email 7:30 on a monday morning increases the likelihood for getting people to review. Yotpo has targeted small and medium size companies and is planning on continue growing further in 2015. After a quick breakfast, we walked to the office of Lool Ventures. A venture capitalist Ben with a Swedish background welcomed us and showed us around their cool office with several floors. He had studied all over the Europe and had experience in M&A law. 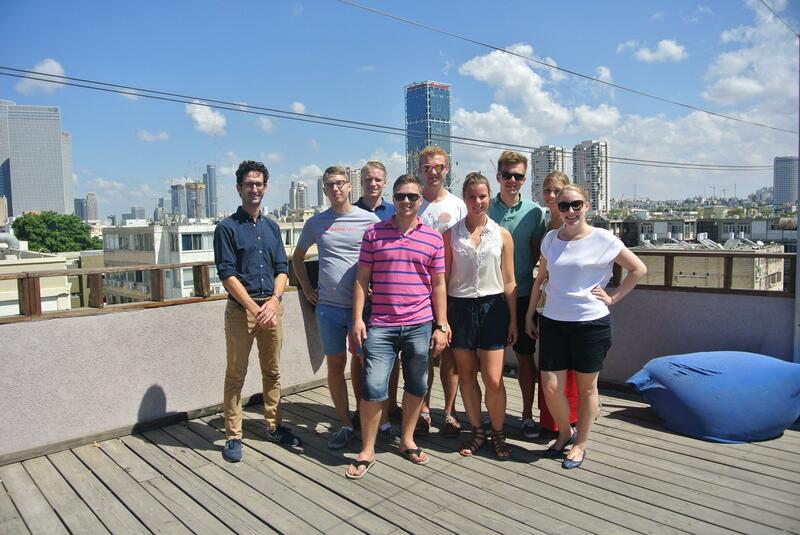 Some of Lool Ventures’ portfolio companies have their offices in the same building and attend regularly parties at their spectacular rooftop terrace. Lool Ventures invests in seed and A stages, and in addition to pension funds and private individuals for example two German media companies are investors in their funds. Benjamin recommended us a delicious local falafel restaurant and we enjoyed an excellent lunch there. After that, it was time to head north to Herzliya to our last excursion of the day. Zach from Microsoft Ventures told us about their incubator program that had a unique business model. They accept only a 2-3% of the applicant startups to their program, and instead of investing equity, they provide a strong industry mentorship for the startup companies. The results are phenomenal: over 80% of startups that participated in the 4 month program have received follow-up funding. The benefit for Microsoft is an access to top entrepreneurs in the world and making Microsoft relevant for them. 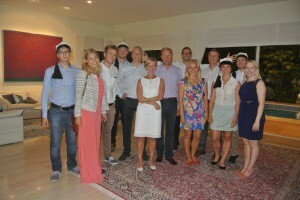 In the evening, we were delighted to participate in an reception at the beautiful residence of the Finnish Ambassador in Israel. With more than 30 participants from Israeli startup ecosystem, the reception provided exceptional opportunity to network with Israeli entrepreneurs. The night was filled with truly interesting discussions with inspiring people. 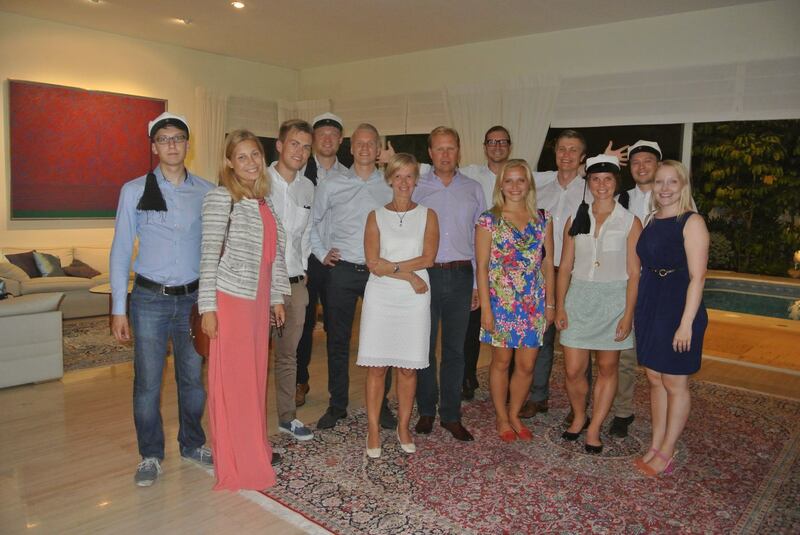 Thank you Leena-Kaisa Mikkola and Finnish embassy team once more for organizing the event. 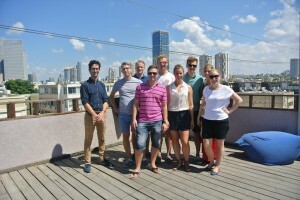 Read more blogposts about Aalto Fellows Program trip to Israel here.